Sunny. Warmer. High 73F. Winds NW at 5 to 10 mph.. Filming for “Down and Yonder” is scheduled to begin in late July in Walker County. The film crew is looking to raise $30,000 to produce the full-feature film. The fundraiser officially kicked off Feb. 2 on indiegogo.com and will run for 60 days. From left: Benson Greene, Geoff James, Christopher Flippo and Sam Griffiths, all of Cindicate Productions. 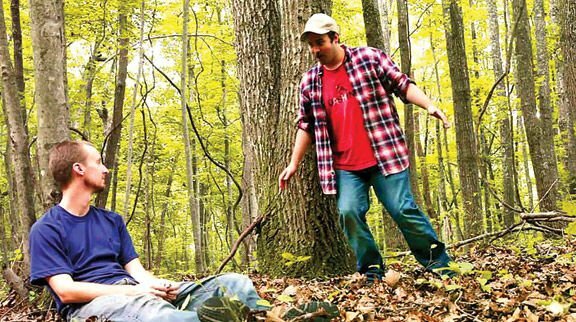 A production company out of Atlanta, with ties to Walker and Catoosa counties, is currently raising funds to shoot an independent full-length feature film in the area this summer. A group of aspiring filmmakers banded together over the last few years to create the Atlanta-based Cindicate Productions, and now the friends have returned home to make a feature film inspired by characters from one of their earlier short films. 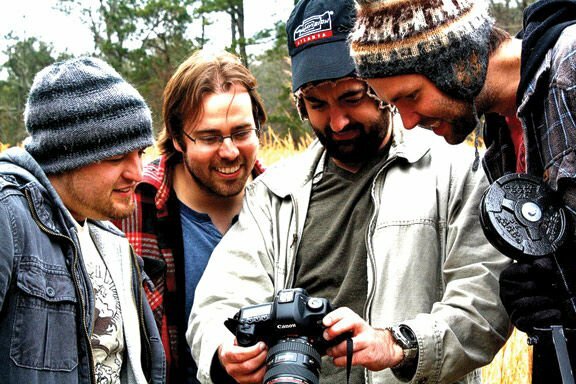 Producer and actor Geoff James, director and writer Christopher Flippo and director of photography Benson Greene are natives of Walker County, and were all part of Ridgeland High School’s class of 2005. Greene and Flippo are both from Rossville, and James is from Chickamauga and LaFayette. The crew is primed to make the film “Down and Yonder,” which follows up with characters “Wally” and “Sugar Baby” from its earlier short film, “The Future West,” which premiered at last year’s Chattanooga Film Festival. James said the story is about two friends having a belated coming-of-age in their mid-twenties. When one of them becomes convinced to move away, they both begin to examine their futures. The film is about a friendship that becomes tested by time and distance, and it is ultimately a love letter to growing up in a small southern town. The crew describes the film as a comedy/drama that explores themes of friendship, maturity and the search for home. The screenplay was written by Flippo and the story has been a long time coming for the group, who are excited to tell the story in and around their hometowns. Shooting for “Down and Yonder” is slated to begin on July 25 in Walker County. The crew is looking to raise a grand total of $30,000 to finance the project, with $20,000 of it currently being funded through an Indiegogo crowd-funding campaign that can be found at indiegogo.com. The fundraiser officially kicked off Feb. 2 and had already accumulated $4,326 as of Feb. 10, which is approximately 22 percent of their goal. The team members feels if they can at least reach the $20,000 goal, they could then discuss additional funding through another company. As the shooting date approaches, James said the team is finalizing locations, casting the final few actors for minor roles, and doing all they can to spread the word about their dream of making this film. James also pointed out ties to Ringgold and Catoosa County in some of the company’s earlier work. For James, Flippo and Greene, the best part about making the film is the opportunity to do it right in their hometown.